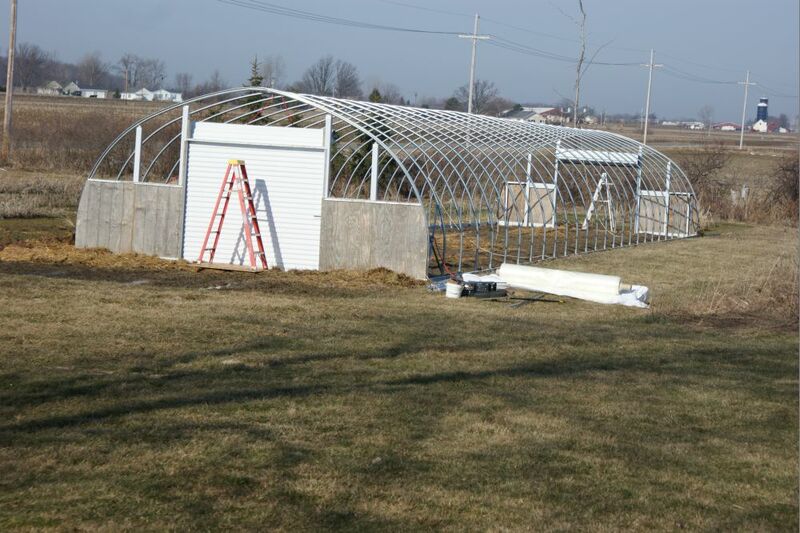 Friday we pulled the poly on the new greenhouse. There was barely a whisper of wind, ideal conditions for working with pastic, so the whole thing went incrediably smooth. Putting plastic on a greenhouse is alot like being an air traffic controlled with hours of mundane work puncuated with a few minutes of sheer terror. Richard spent most of the day Thursday gathering materials needed and preparing the ground as it is still very wet: laying out boards to walk on and putting down straw in the really muddy areas, (though we still all ended up covered with mud by the end, especially Dustin and Richard who worked the second half of the day finishing things up). There is a point of no return(the scary part) after you unroll the plastic and you have 125’x 45′ piece of plastic on the ground. As you lift the plastic onto the greenhouse you pray for no wind. 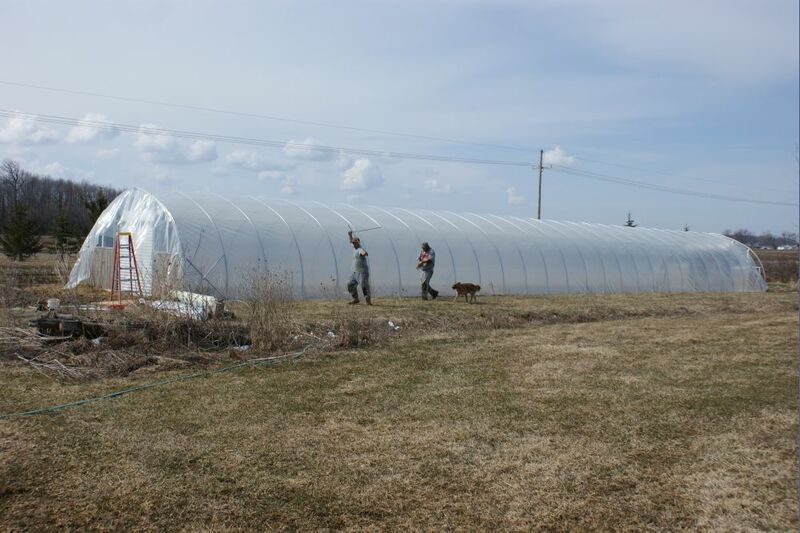 I still cringe at the time we were putting plastic on the winter greenhouse on too windy a day. After working hours to gently nudge the piece on the greenhouse and the entire piece 140’x45′ lifted (me with it) and flew and on to the ground 25′ away. That was not a good day. The chickens are so happy to see the sun and some warm weather. 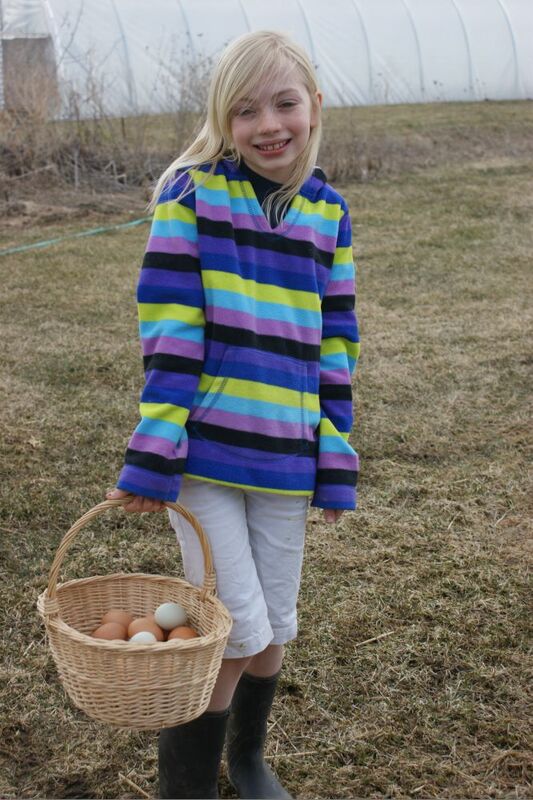 Our fresh eggs are at the East Lansing Food Coop for those looking for farm fresh eggs. 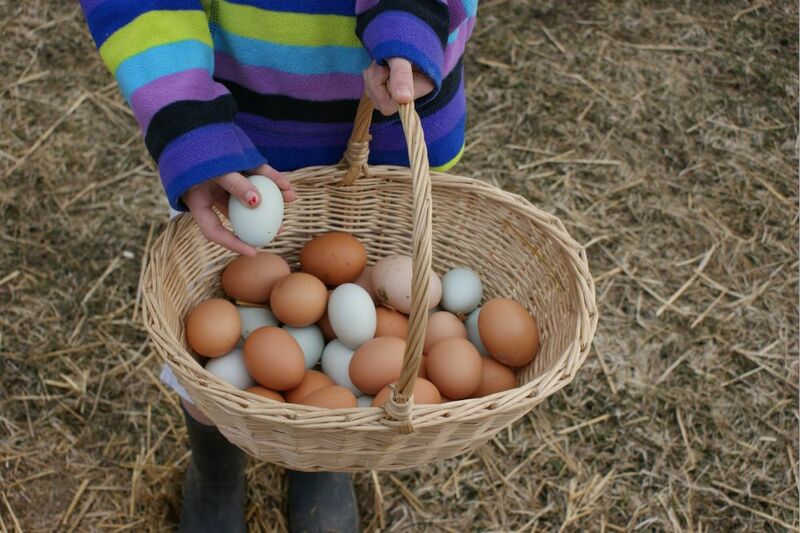 Once the Meridian Market starts May 7 we will eggs there. Sorry, these pictures are all mixed up. Sometimes this website has a mind of its own. Anyways…enjoy!